For the past couple of years I have been working on a personal project that has taken up most of my time and proved to be more of an inspiration that I could ever have imagined. It started modestly, as a little bit of family research, and has grown into something much much bigger. After my grandmother passed away a few years back my mother found some items that belonged to my great great grandfather hidden away in a closet. 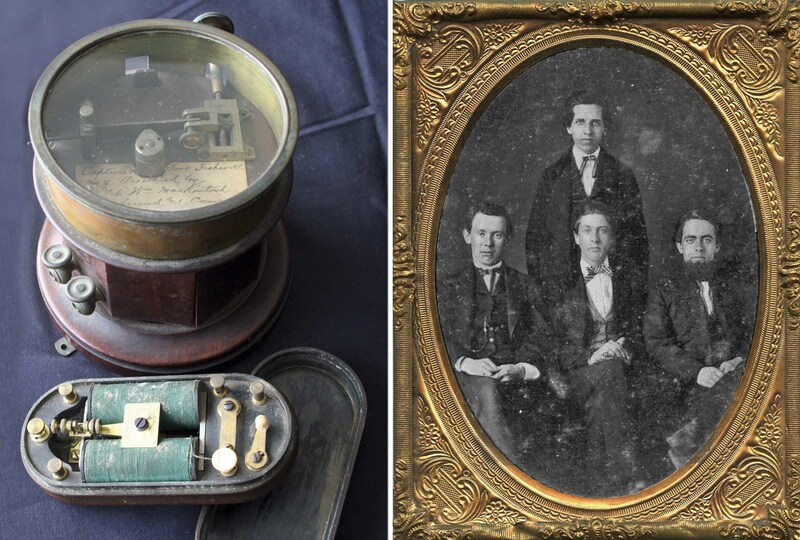 A pocket telegraph key, a relay, and an ambrotype all dating from the Civil War. I decide to find out what I could about these items and ended up uncovering a story that goes beyond my family, deep into the workings of the Civil War and the profound influence of the invention of the telegraph. I have begun to chronicle the journey of my research in a blog called “73: What Hath God Wrought”. But more importantly I have discovered the story of two brothers thrown into the unique roll as telegraph operators on the front lines during the Civil War. Brothers Richard and John O’Brien, who were 19 and 13 years of age respectively at the time they were called into service. 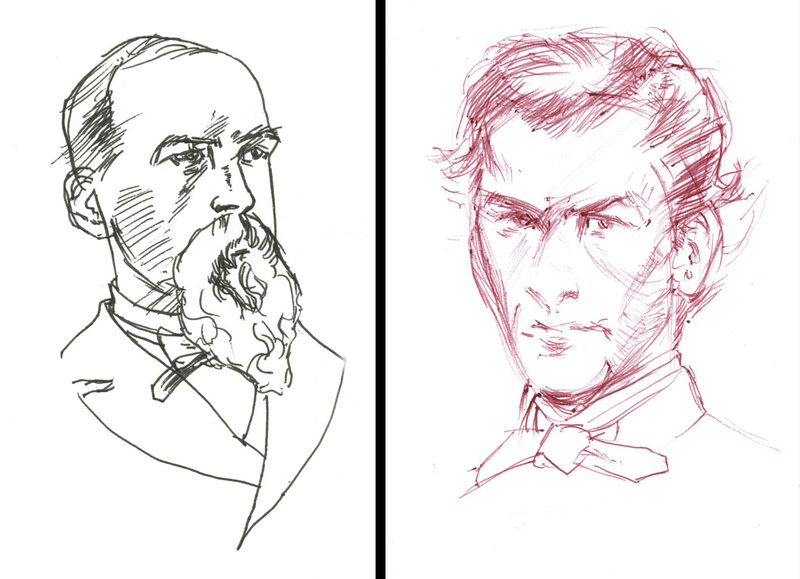 Both of whom were friends with a young Andrew Carnegie; met Lincoln, Grant, Sherman, Butler and Wool; were eyewitnesses to the Battle of the Ironclads; and saw first hand the contraband camps and ramifications of the Emancipation Proclamation. With a story full of such drama, coupled with my professional experience, it seems only natural to pull all this research together into a graphic novel. Which, I am happy to say, I have begun scripting and illustrating. It’s too early to tell where or how it will all end up, but it is, without a doubt, the most ambitious project I have ever undertaken and an adventure beyond anything I could ever have dreamed up myself. As a member of the MTC and frequent contributor to their quarterly magazine, “Dots & Dashes” I read your article and letter with interest. I have written many of the book reviews in D&D including ones of Plum and O’Brien. Another you did not mention, which contains excerpts of David Homer Bates diary is, “The Telegraph Goes to War” edited by Donald E. Markle published in 2003. However, as Bates spent most of his time working in the War Office in DC it is not the “from the field” view of O’Brien and his older brother or from Plum. Note that in addition to his 1910 book, “Telegraphing in Battle”, O’Brien wrote an article with the same title in “The Century” a magazine, volume 38 issue 5, September 1889 starting on page 782 and through page 793. It is also a good read and is available on-line from Cornell. Frankly, I am puzzled by your question as Plum and O’Brien are by far the best practical demonstrations of day-to-day Civil War telegraphy at least as it affected the involved individuals. But, of course, maybe I don’t understand the direction of your question. If you care to elucidate to me in an email, I will see if I can help. Thanks for your comment Chris. And thank you for mentioning all those wonderful books and periodicals. I am slowly acknowledging each one on my blog whathathgodwrought.net as time permits. I recently discovered Markle’s book, which was very informative, as well as the article written by O’Brien in Century Magazine. Plum’s book is staggeringly comprehensive. Between Plum, O’Brien, and Bates these three paint a detailed portrait of what life was like as a telegraph operator. Have you read “Mr. Lincoln’s T-mails” by Tom Wheeler? This book does an excellent job bridging the telegraph with today’s technology.